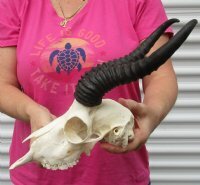 Male Springbok skull and horns for sale (Antidorcas marsupialis) for rustic cabin décor and lodge decor. 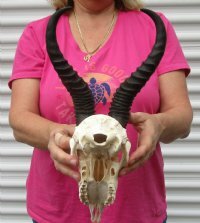 The springbok horns measure approximately 9-1/2 inches - measured around the curl of the horns. The skull measures approximately 9 inches. 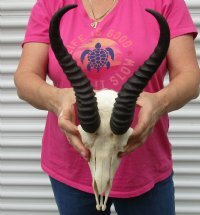 Review all photos. 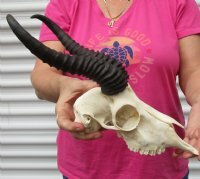 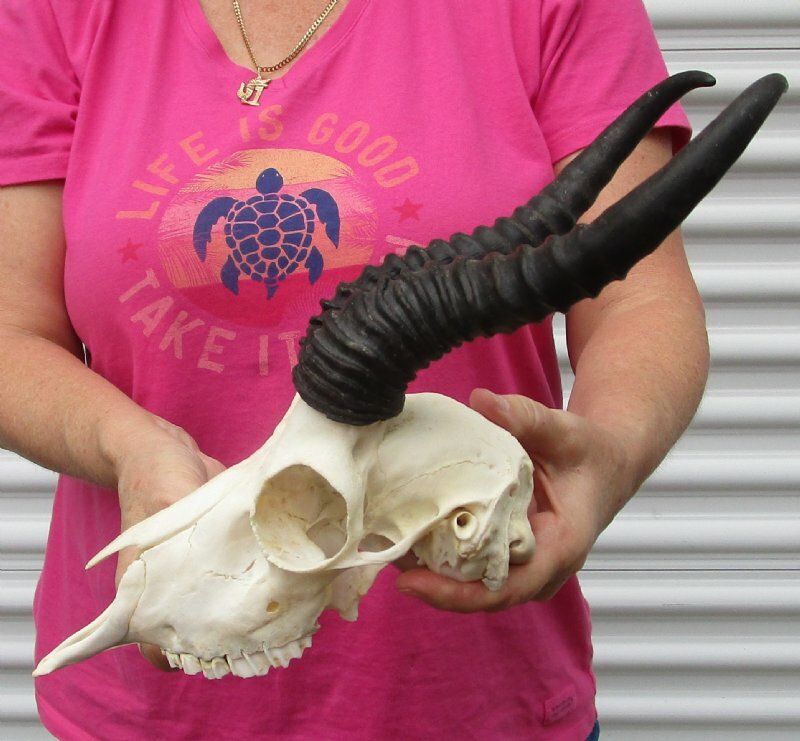 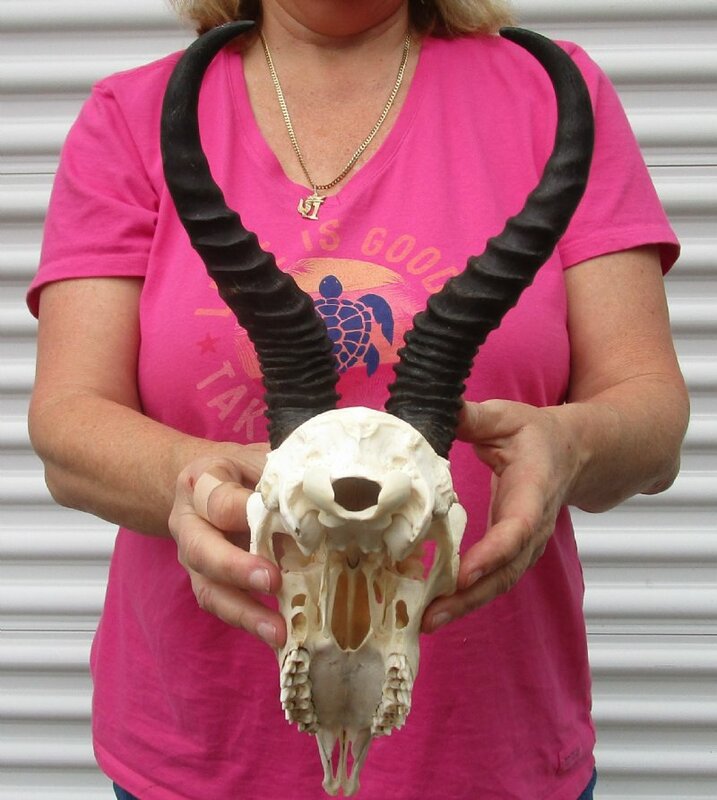 This springbok skull and horns is from a wild African springbok and will have imperfections caused by the animal living in the wild and the natural aging process.